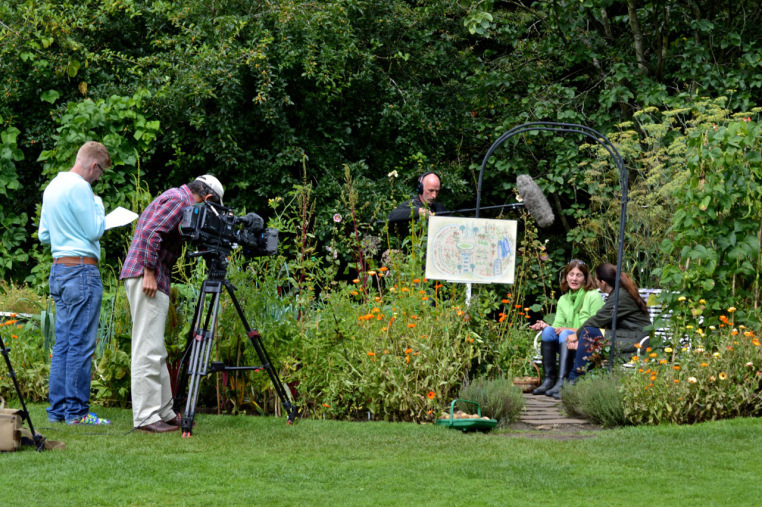 BBC Gardeners’ World were in Bath last week filming the Bath WI garden in Victoria Park as part of a WI Centenary feature. 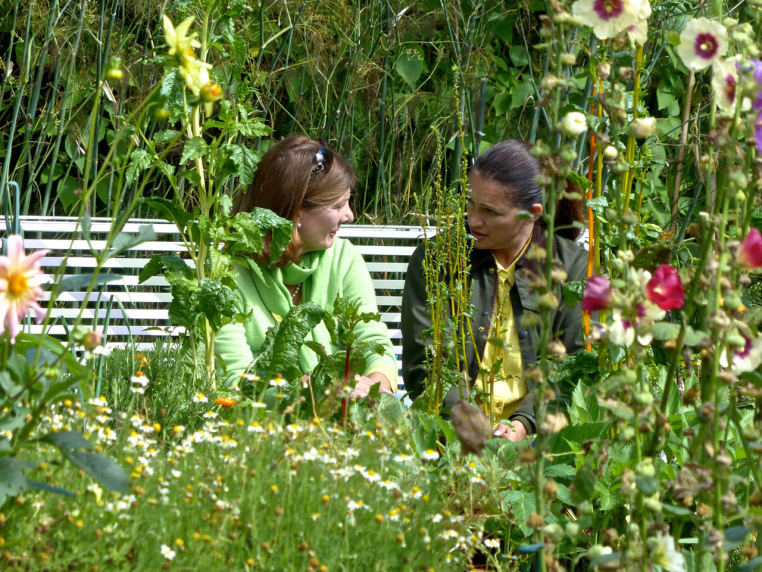 The WI community garden is in the beautiful Botantical Gardens in Royal Victoria Park, Bath. 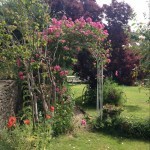 The garden is entirely made up of edible plants and flowers. 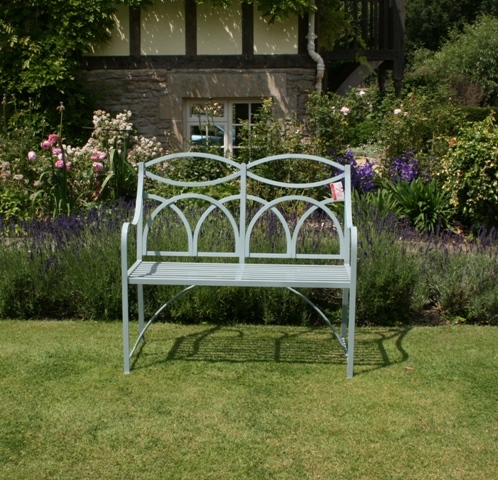 Happily for us the garden also features an Ironart Lansdown bench. 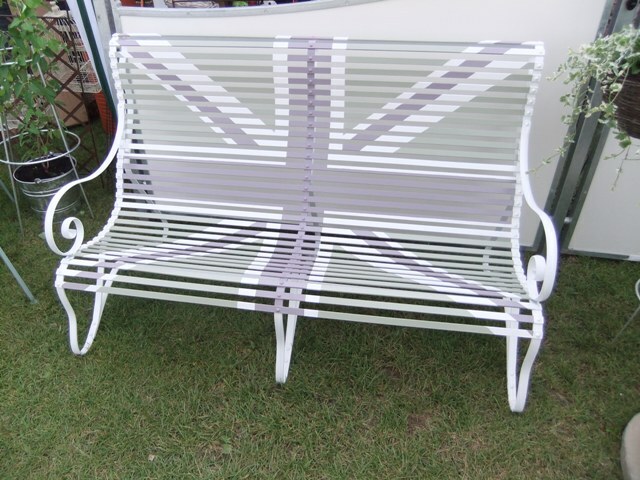 Our benches are all handmade here in our workshops in Larkhall, and this one was handpainted by Nichola Thearle in a subtle Union Jack design. 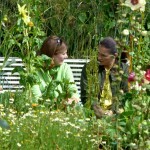 Pictured sitting on the bench here are BBC’s Rachel De Thame with Kitty, Head Gardener at Bath’s WI. 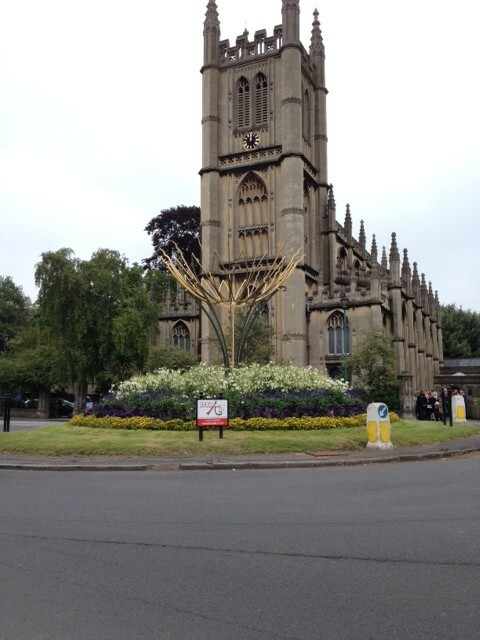 You can catch the epsiode this on BBC iplayer from Friday 11th September at 8.30pm on BBC 2. 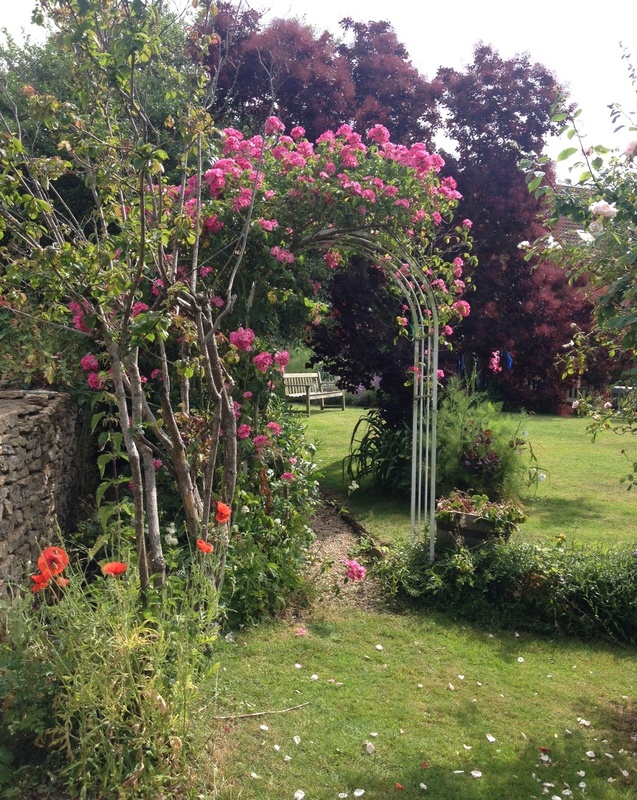 Summer is here and everywhere you look the roses are in bloom. 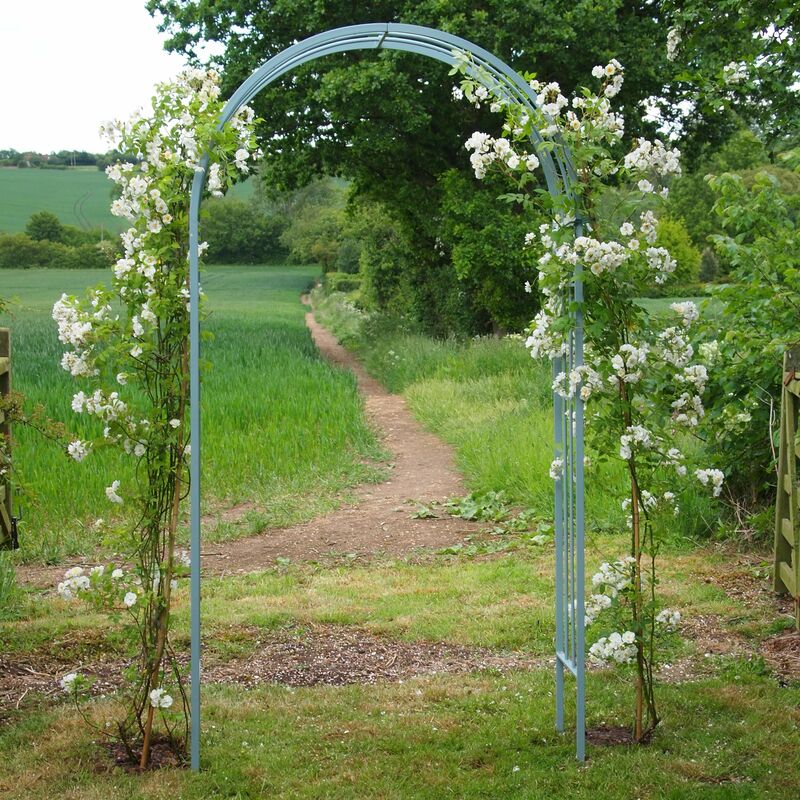 We have had a flurry of orders for garden structures since an editorial piece about Ironart’s fruit cages appeared in Gardens Illustrated magazine this month – the most popular being wrought iron rose arches. 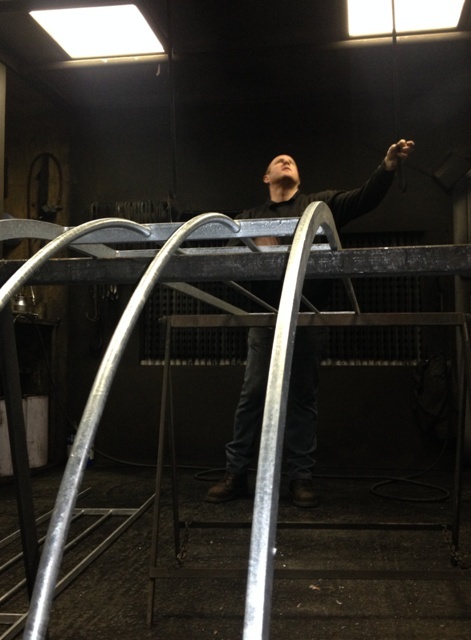 Here at Ironart our arches are made from solid mild steel round bar, which is then galvanized before being painted. 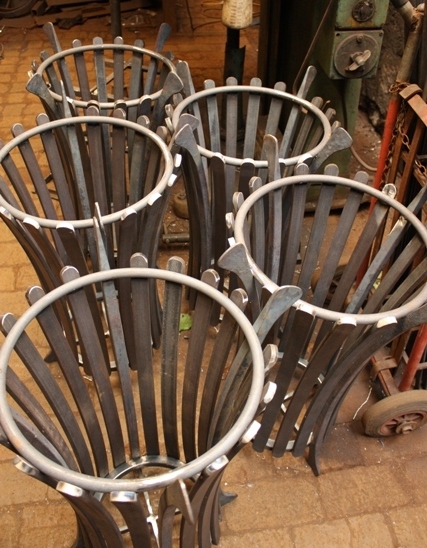 Unlike a lot of the tubular steel, powder coated look-a-likes you find on the high street, they really are built to last. 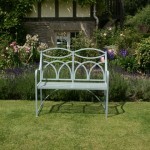 Ironart are featured in Gardens Illustrated magazine this month. 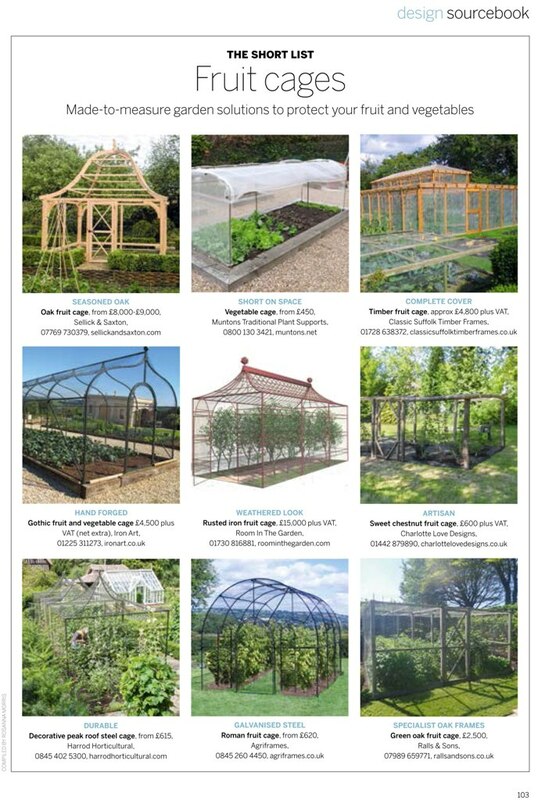 The magazine’s July issue which went on sale last Friday – includes a design sourcebook editorial page on “Fruit cages: made-t0-measure garden solutions to protect your fruit and vegetables”. 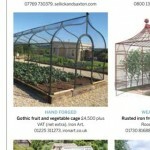 The editors picked up on a gothic fruit and vegetable cage we made for talented Garden Designer Marion Mako, which graces a beautiful garden near Colerne on the edge of Bath. 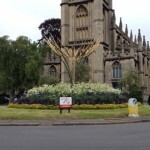 Here’s a link to that particular gothic bespoke fruit cage on our website. 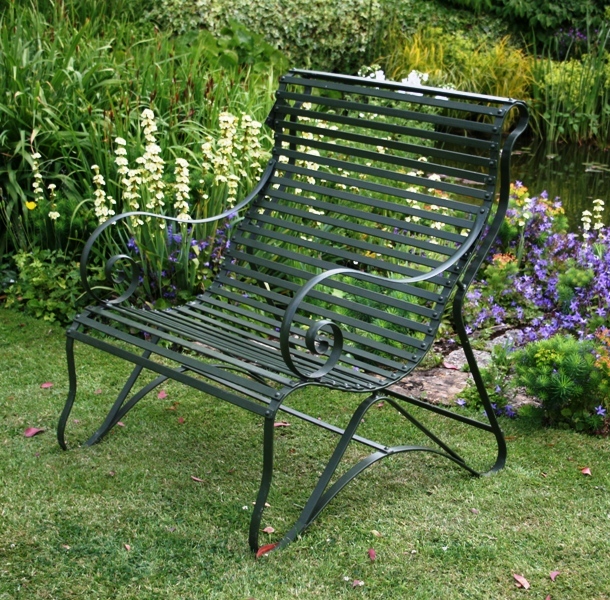 If you grow fruit and vegetables, have a problem with birds and would like an elegant solution to the problem.. please get in touch.